The weather is definitely changing and you can definitely feel a little bit of chill in the air. Thanksgiving weekend/week is next week. I still can’t believe it! We’re off from school and work and on the lookout for adventure. We usually head up to Big Bear a few times during the winter and plan on making it up next weekend. We are always up for some fun in the snow. My in-laws have a cabin in Big Bear and we like to take the kiddos up for some fun in the snow. Did you know that you don’t have to wait for a massive storm to make some fun memories in the snow? Big Bear Snow Play is now open for the season, and is a super fun place to take the family for an outing. Natural and man made snow are combined to ensure that your family has a blast. You can go snow tubing, play in the snow, or sled down a good size hill, as many times as your heart desires. Six full-length runs are open for inner tubing with a base of one to up to six feet of snow. As the winter continues Big Bear Snow Play will eventually have over 20 feet of snow piled high on and up to eight runs. Big Bear Snow Play is open everyday from 10am to 4pm. Admission is $30 per person and includes unlimited rides and an inner tube rental. Please remember to bring cash. It’s open from 10am to 4pm, seven days a week. For additional info head here. This entry was posted in Big Bear and tagged Big Bear, Big Bear Snow Play, Snow Fun in So Cal. 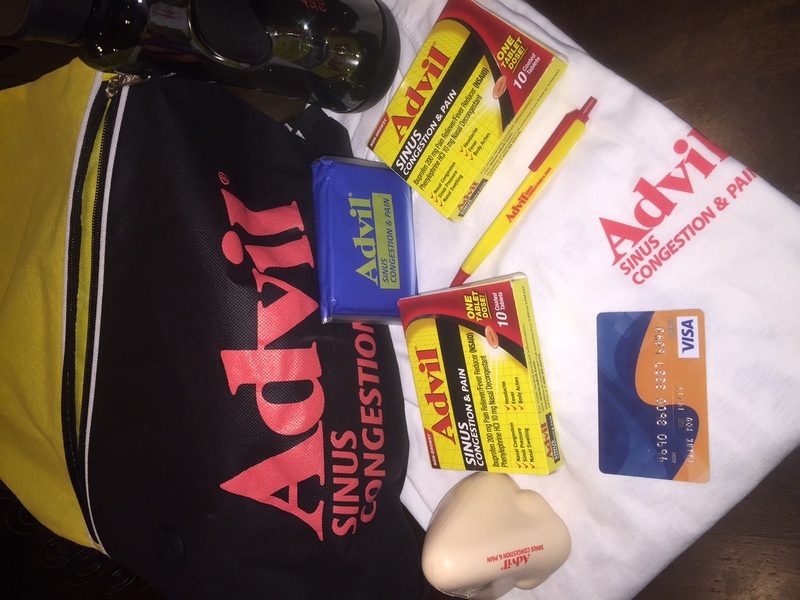 Advil® at Work™ #SickestDayEver Sweepstakes and Giveaway! Fall is my favorite season, we can finally open the windows and air out the house without the hot weather and bugs. These weather changes also bring winds which also brings germs and sickness. I am excited to share about the Advil® at Work™ “Sickest Day Ever” Sweepstakes! Advil® Sinus Congestion & Pain provides fast, effective relief of your severe cold symptoms, so you can enjoy your sickest day! • Park City, UT; Grand Canon, AZ; or San Juan, Puerto Rico – where will your “Sickest Day Ever” journey lead you? Even if you don’t win the Grand Prize, you still have a chance to jump in on the “Sickest Day Ever;” after entering our Grand Prize Sweepstakes, click the link to the Weekly Prizes page, and confirm your email to be entered into the drawing! After confirming your email, you will have a unique URL that you can share with all your adventurous friends. For each friend who enters the Grand Prize Sweeps through your unique URL, the entrant who shared your URL will receive one additional entry into the Weekly Prizes, including a Sports Outlet Gift Card, Outdoor Backpack, Premium Headphones, and Fitness Tracker! 3. Fill out quick “Sickest Day Ever” entry form and enter for your chance to win the Grand Prize trip and other fun prizes. We’re also giving away the swag bag above and a $25 Visa Gift Card. All you have to do is leave a comment letting me know that you entered. Winner will be selected at random. Giveaway ends on Wednesday, November 25th at 11:59pm. Good luck! 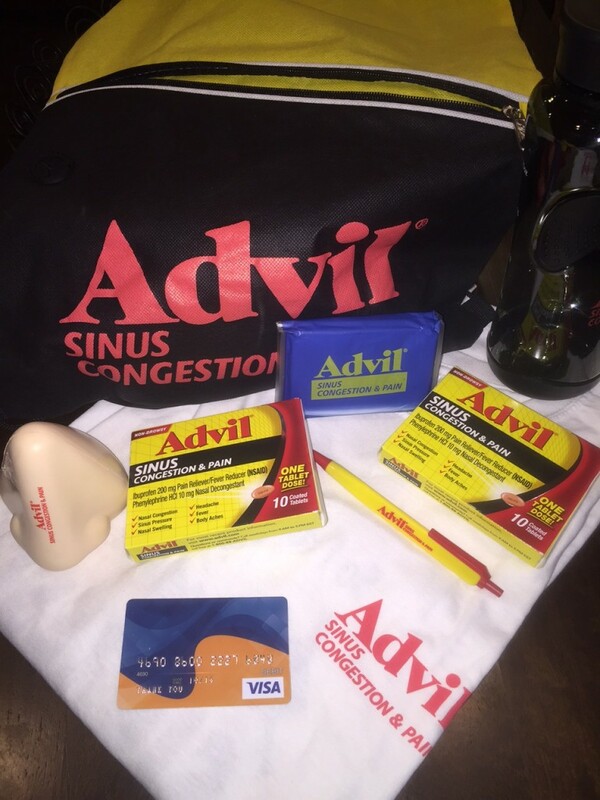 The Advil® Sinus Congestion & Pain product, information and gift have been provided by Pfizer Consumer Healthcare. My honest opinions are based on my actual experience in using the products. This entry was posted in family and tagged #sickestdayever #advilatwork. Netflix has some fun new additions this month for the whole family to enjoy. Stop dreaming and start streaming! The Care Bears have never really gone away. I remember watching the first movie opening weekend from the front row in a sold out theater in Central California. I had several Care Bears and watched the television shows over and over. Now the sharing and caring of Care-a-Lot is ready for another generation. 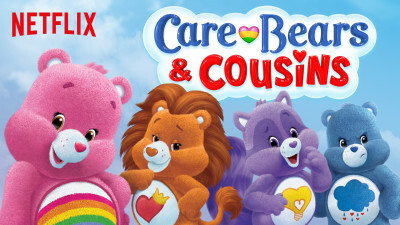 Care Bears & Cousins is streaming now. 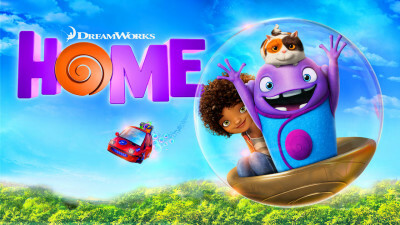 One of our favorite films from this past Spring was “Home” from Dreamworks. Follow the tale of the misunderstood alien “OH” (Jim Parsons) and Tip (Rihanna), the little girl he befriends here on Earth. Though there is mutual distrust, both crave friendship and fun and a place they can call home. Home is the perfect movie for those of us away from home during the holidays as well as those who made it back to their home of origin. We hope your Thanksgiving is full of family, fun and love. Have a wonderful holiday, from all of us here at Daytrippingmom.com! This entry was posted in family and tagged #streamteam.